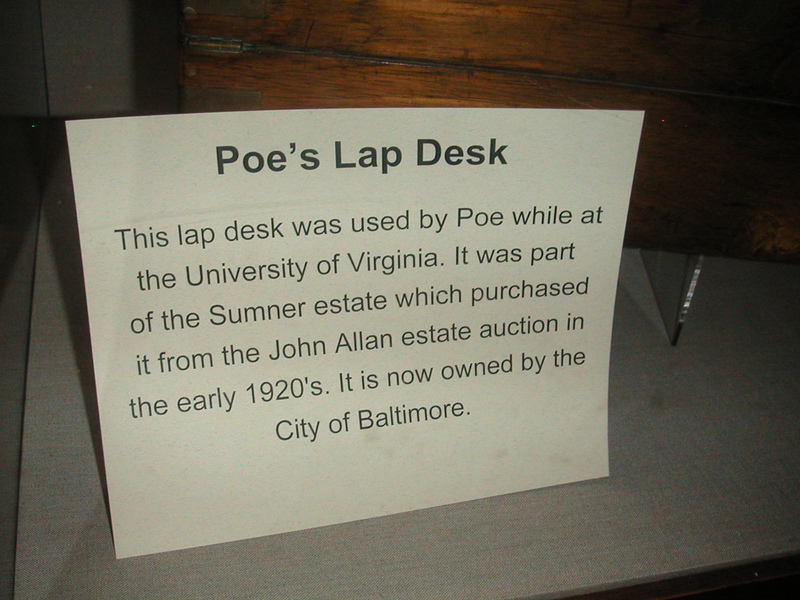 I’m a member of the Poe Studies Association, and so I’m on their L-SPAMEN list. 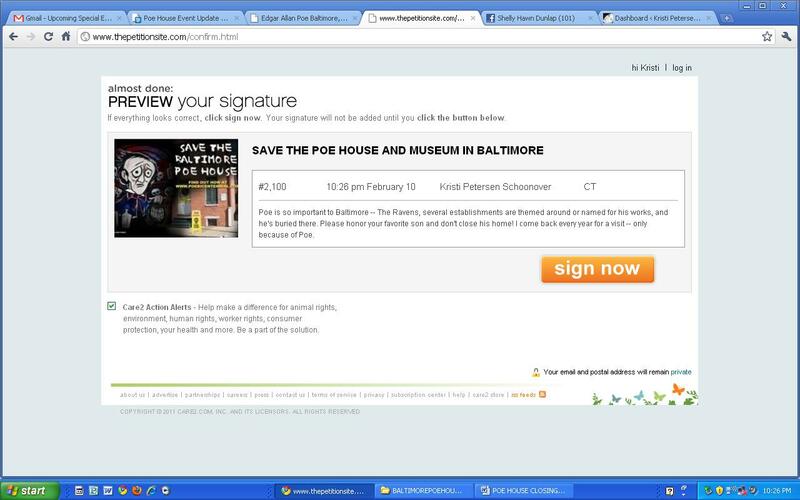 I just about went into shock when I got an e-mail earlier this week with the Subject Line Imminent Threat to the Baltimore Poe House and Museum. I just don’t understand this. 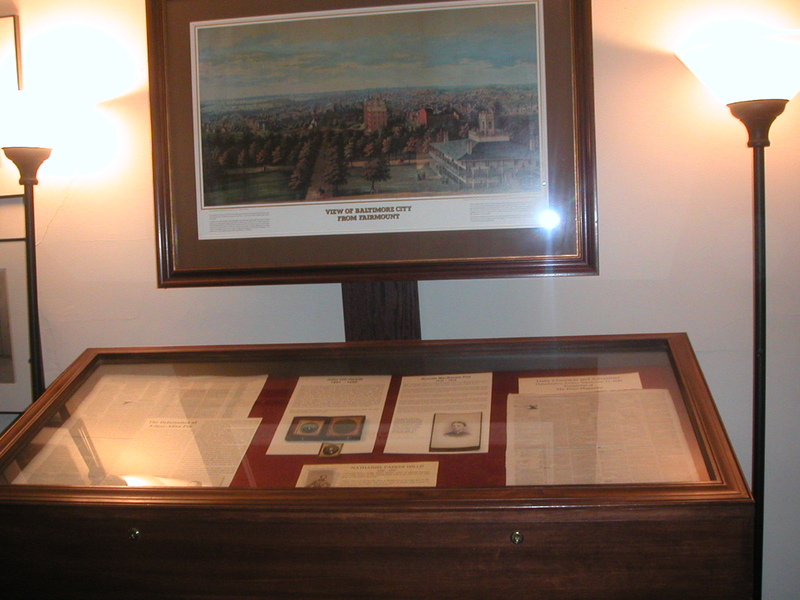 Yes, I know, the economy’s bad and all of that, but this is part of the city’s history. Baltimore is proud of its favorite son—there are Poe bars and restaurants, there is the Poe celebration each January, there is the team The Ravens. There is probably more down there I don’t even know about. Want to sign the petition and keep up to date on what’s happening? 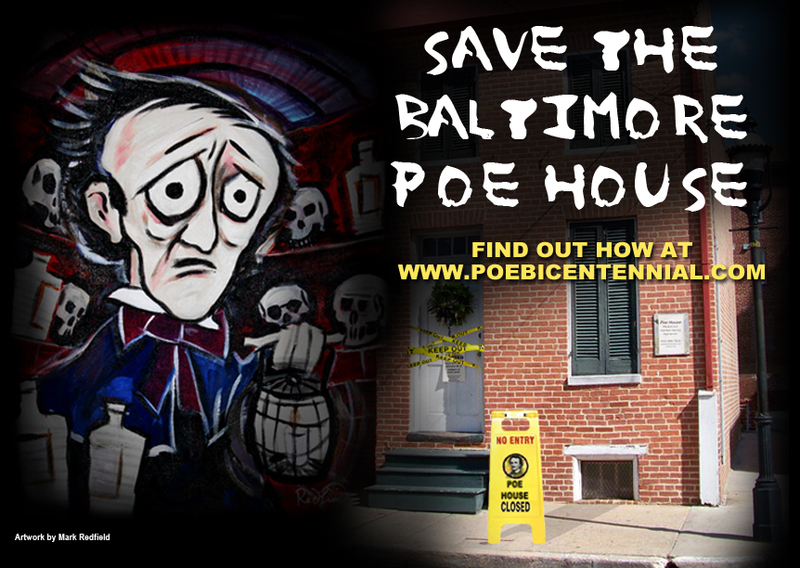 Visit the Poe Bicentennial Blog here: http://www.poebicentennial.com/blog.html Here’s the article, also, from the Washington Post: http://www.washingtonpost.com/wp-dyn/content/article/2011/02/04/AR2011020405000.html?referrer=emailarticleThere’s also the annual CASK OF AMONTILLADO WINE TASTING on Saturday, March 12. I’m trying to con somebody into going with me. Any takers? COME ON, YOU WRITERS, LET’S DO A WICKED ROAD TRIP!! You can watch that site for more info on that event—tickets and details aren’t quite available yet. If you’ve never been there, you probably have no idea what kind of treasures this place holds. Photographs I took on my 2009 visit are below. 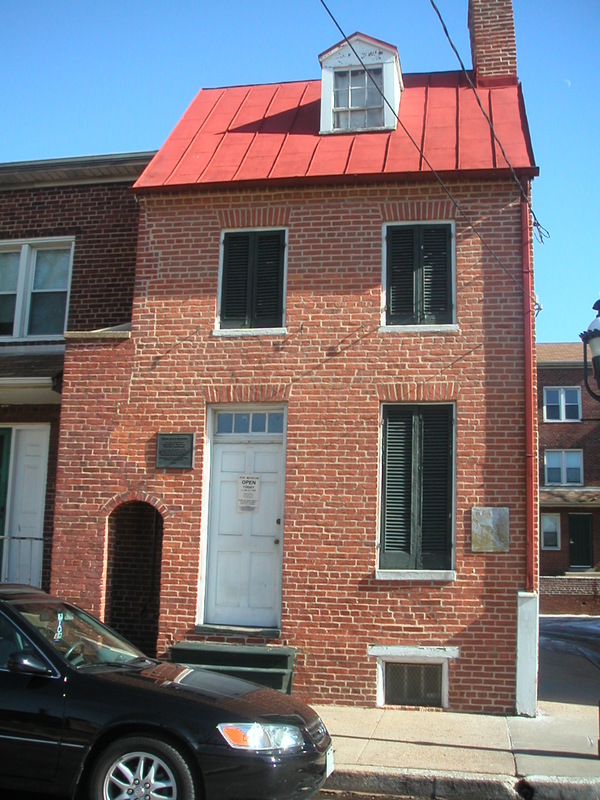 The Poe House in Baltimore. 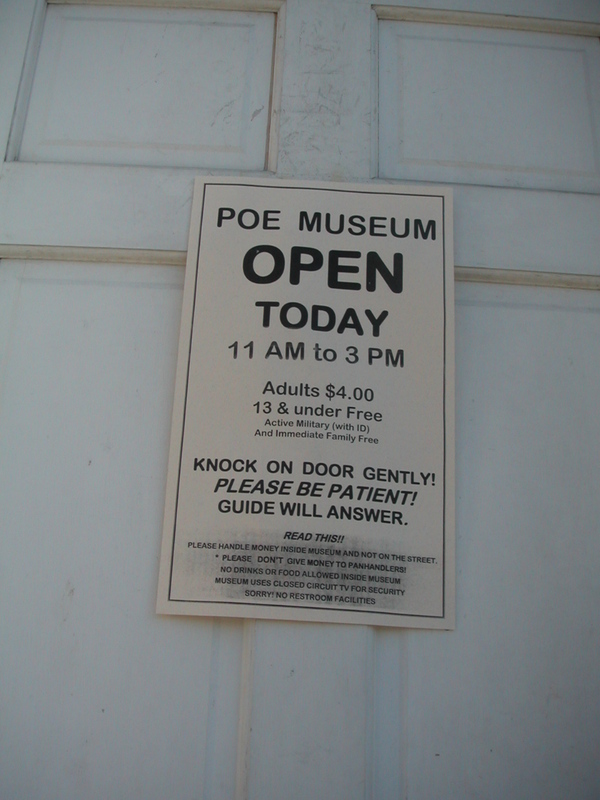 The door to the Poe House. 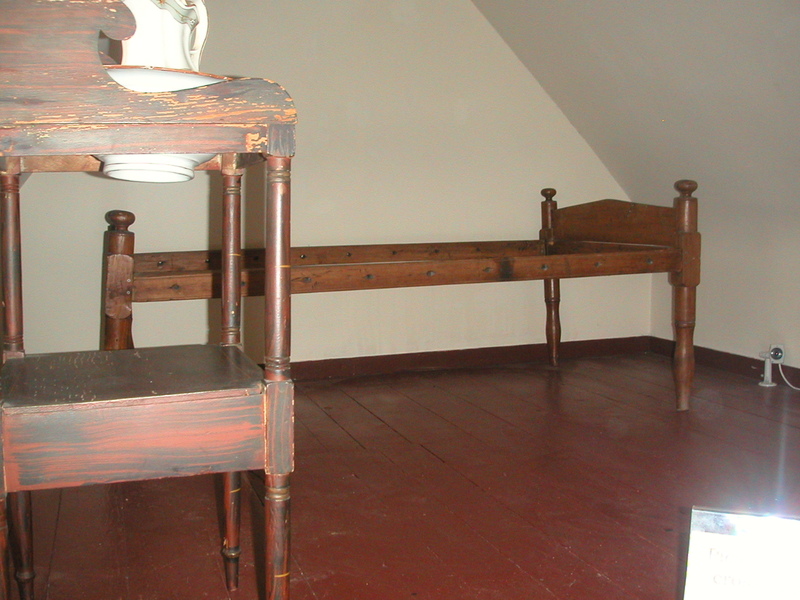 The house is usually closed during the winter. 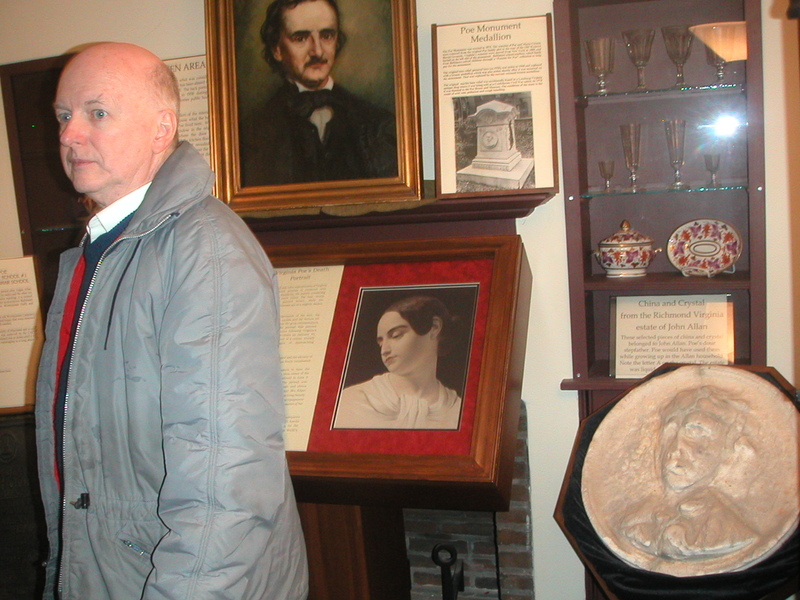 In 2009, it was open to accommodate the masses of people who came to Poe's 200th Birthday Bash. 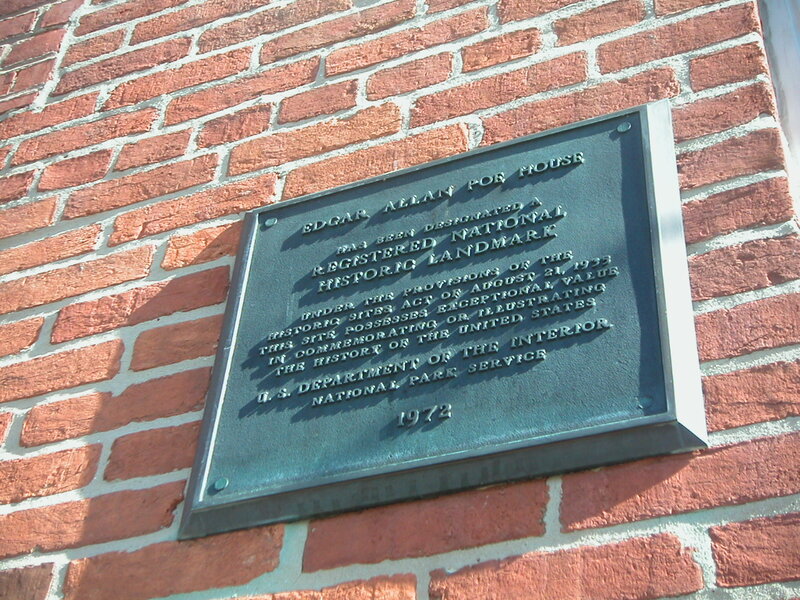 The plaque designating the house as a landmark. 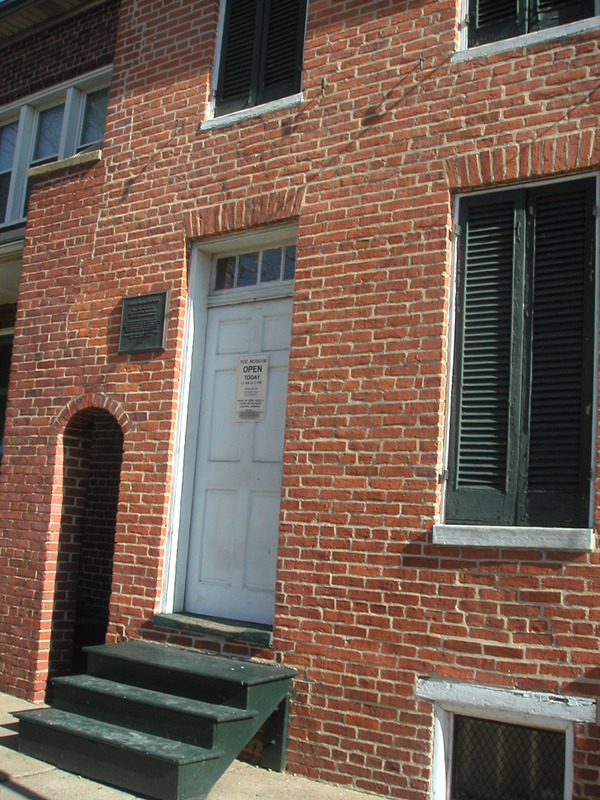 Yes, a national historic landmark. This is in the fireplace in the front room. 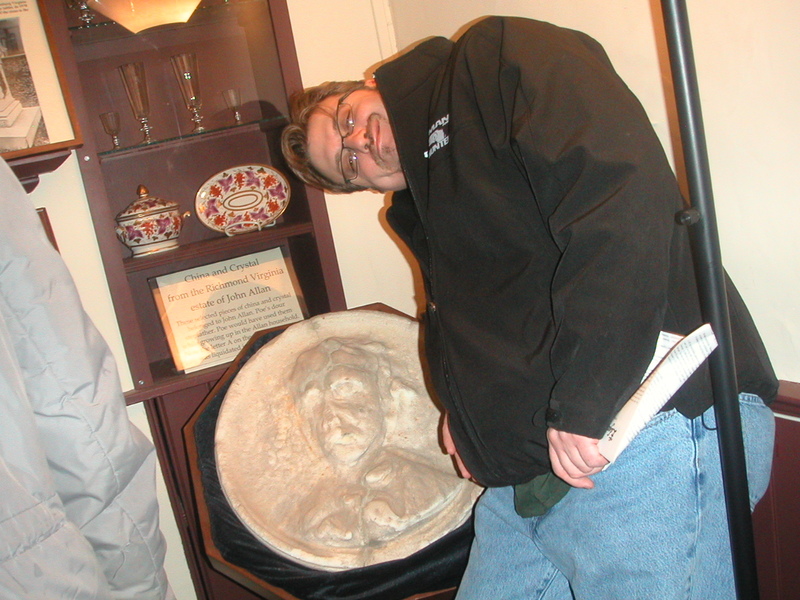 Nathan clowns around with Poe's likeness. Charles in one of the rooms that has some portraits, but mostly artifacts. I think this was the kitchen originally. 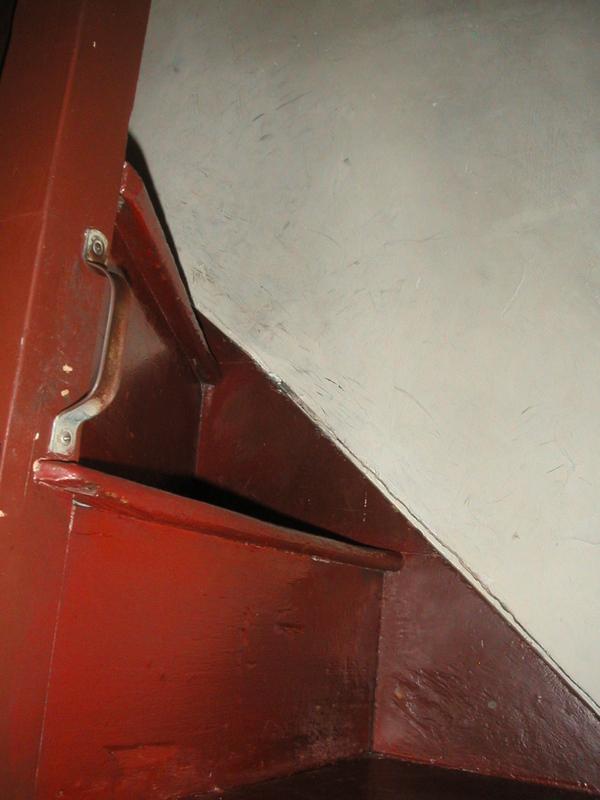 The stairs between the first and second floors. 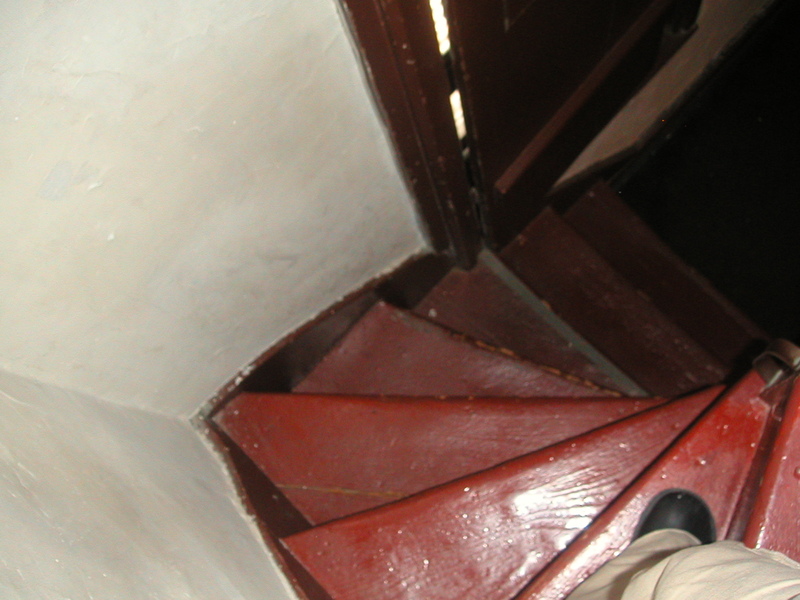 The stairs between the first and second floors, looking down. 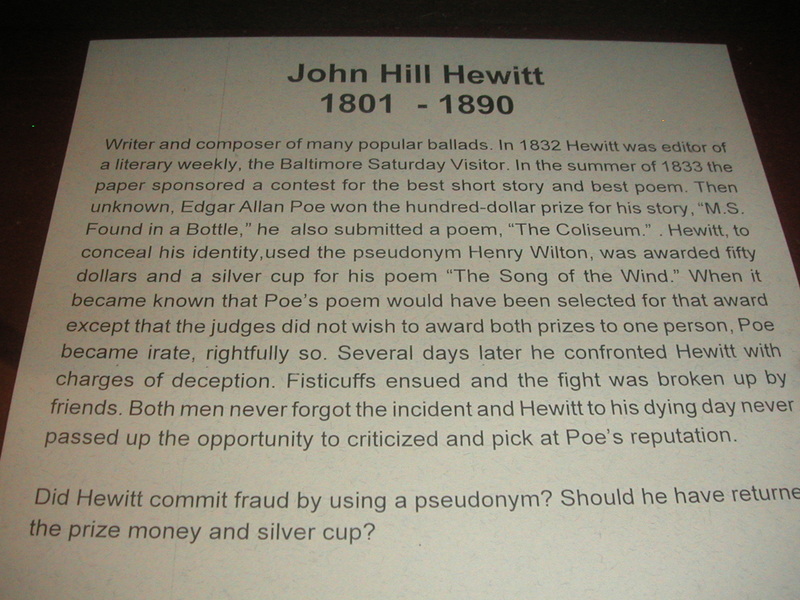 This display has all sorts of interesting articles -- some original clippings from Poe's time. 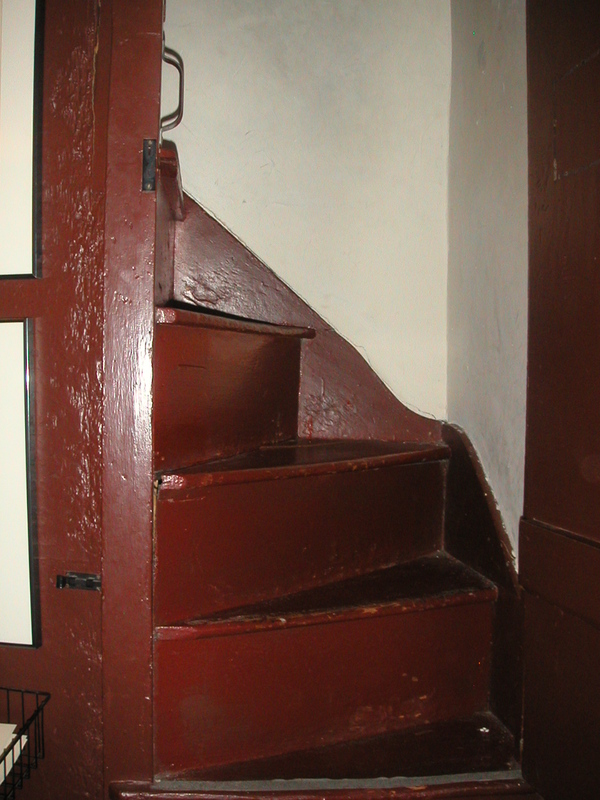 Stairs going up to Poe's writing room on the third floor. 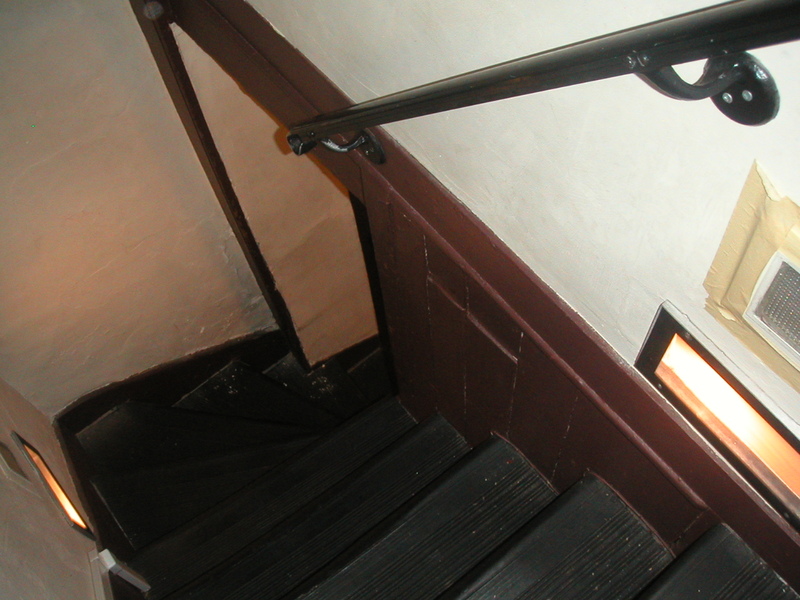 A close-up of the stairs to Poe's writing room. These stairs are so narrow and tiny there can only be one person on the staircase at a time. 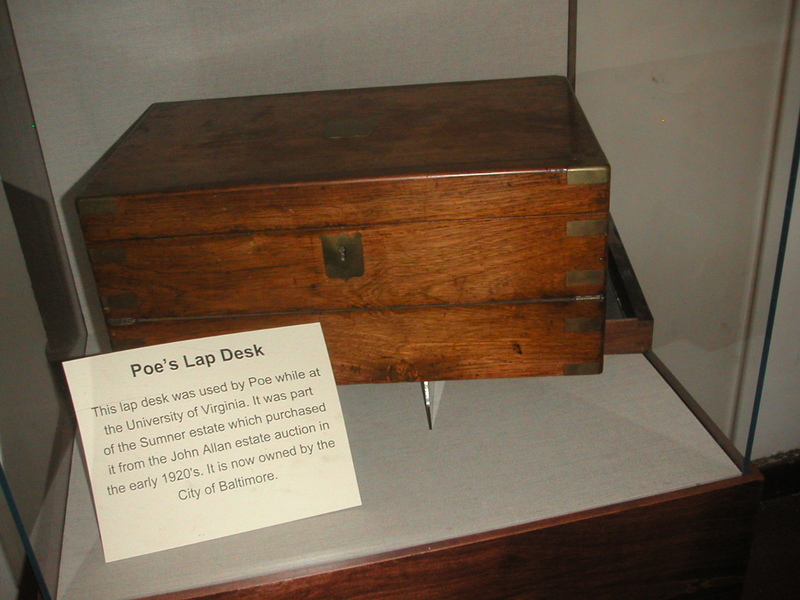 Poe's writing room. No one is allowed in, but seriously, it's so tiny I can't even imagine standing up in it. 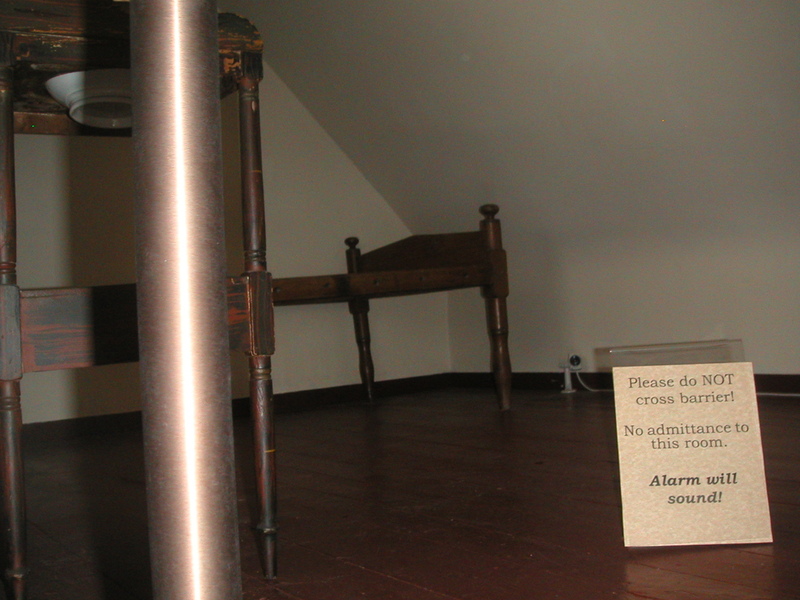 I think this wasn't only his writing room but also his bedroom. I was always amazed when I'd read old ghost stories and they'd always talk about women falling down the stairs and miscarrying or people falling down the stairs to their deaths. 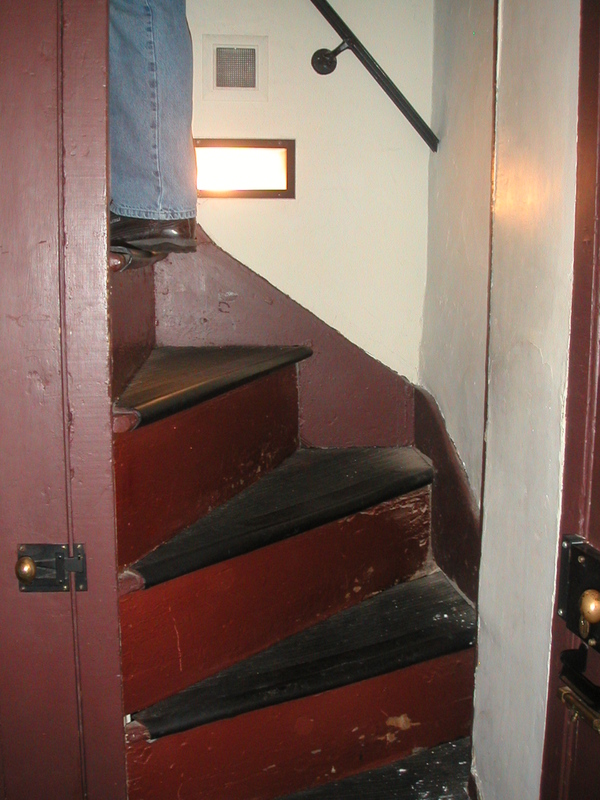 Now that I understand that probably most of the staircases at that time were like this? I GET IT. 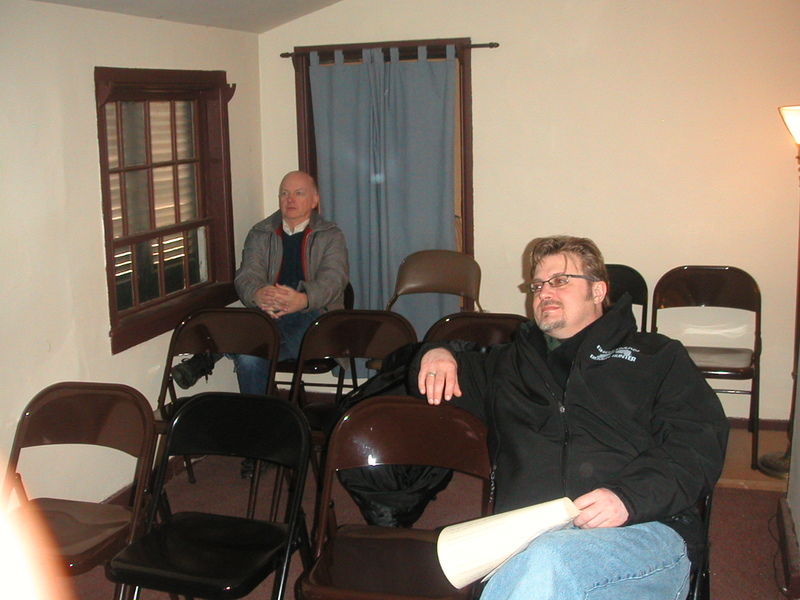 Charles and Nathan watch news clips and films on Poe's life. 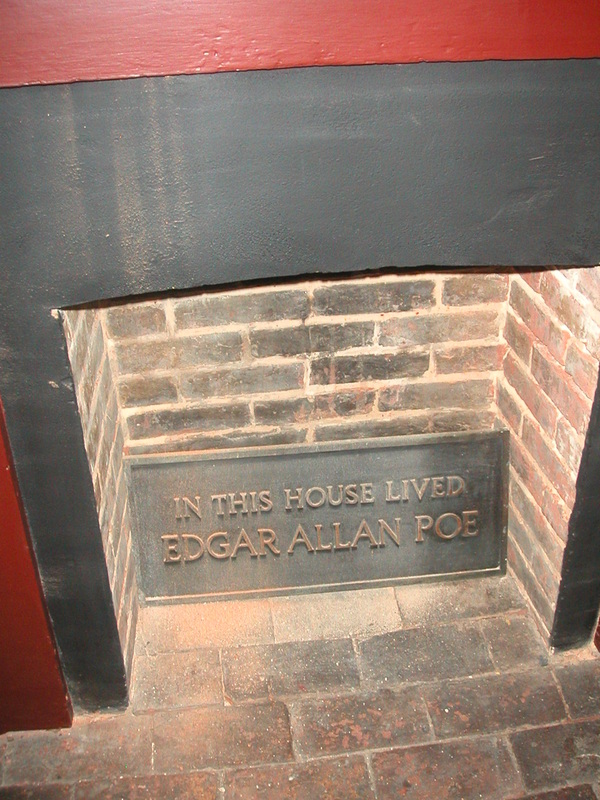 There is a similar set up at the Poe House in the Bronx. 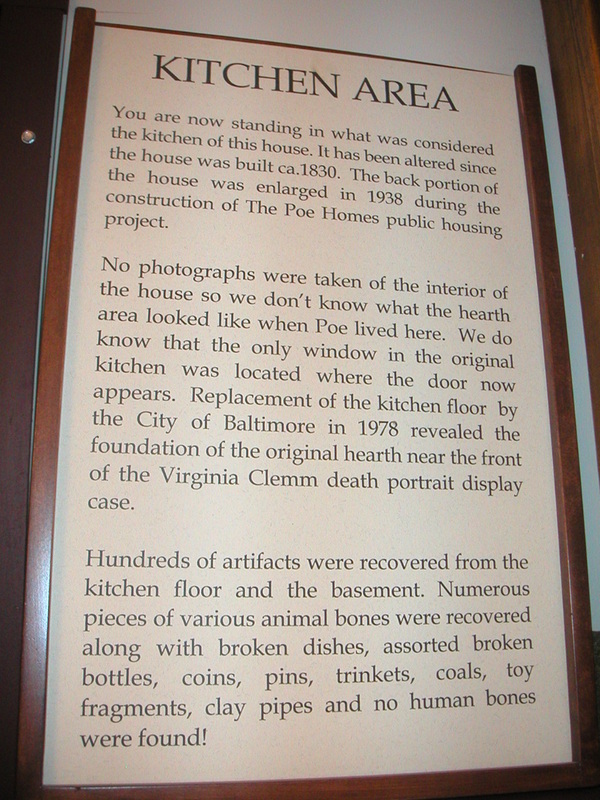 Posted on February 10, 2011, in News and tagged Edgar Allan Poe House Baltimore, Poe House. Bookmark the permalink. Leave a comment.